Benjamin Holt concentrates his practice on antitrust litigation and other complex commercial litigation, including class action litigation. He has represented clients in antitrust actions in state, federal district, and federal appellate courts throughout the United States. In addition, Ben has represented clients in matters before the US Federal Trade Commission, the Antitrust Division of the US Department of Justice, and various State Attorneys General. Ben has litigated a wide range of antitrust and competition issues pertaining to mergers and acquisitions, allegations of price fixing, market allocation, vertical and horizontal agreements, and monopolisation. He also routinely counsels clients on antitrust and competition issues arising from business arrangements and disputes as well as general compliance with federal and state antitrust laws. He has experience in a variety of industries, with a particular focus on financial services, automotive and health care. 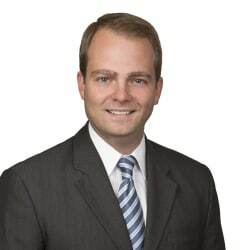 Ben has published and spoken on a number of antitrust and antitrust litigation topics. He is the co-author of Antitrust Compliance, published by Bloomberg BNA as part of their Corporate Practice Series. Ben also serves as an adjunct professor of law at Georgetown University Law Center.